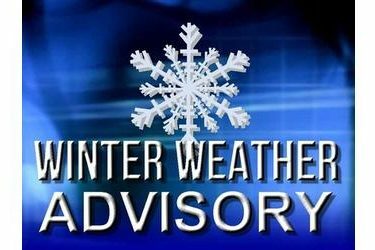 Advisory: A Winter Storm Watch is in effect for Kay County until Sunday at noon. From the National Weather Service in Norman, a WINTER STORM WARNING remains in effect from Friday morning through Saturday evening. tenths of an inch are possible. accumulations are expected to extend from parts of southwest Oklahoma and western north Texas into central Oklahoma. may occur during the day on Friday over parts of western and central Oklahoma. Power outages and tree damage could be possible in some areas due to ice. Road conditions will vary across Oklahoma and western north Texas, depending on ground temperatures and the rate of accumulation of snow and ice. Ice may accumulate on bridges and overpasses, even where main roads do not freeze.